The sun is out more often these days and I'm packing for a getaway near the ocean. 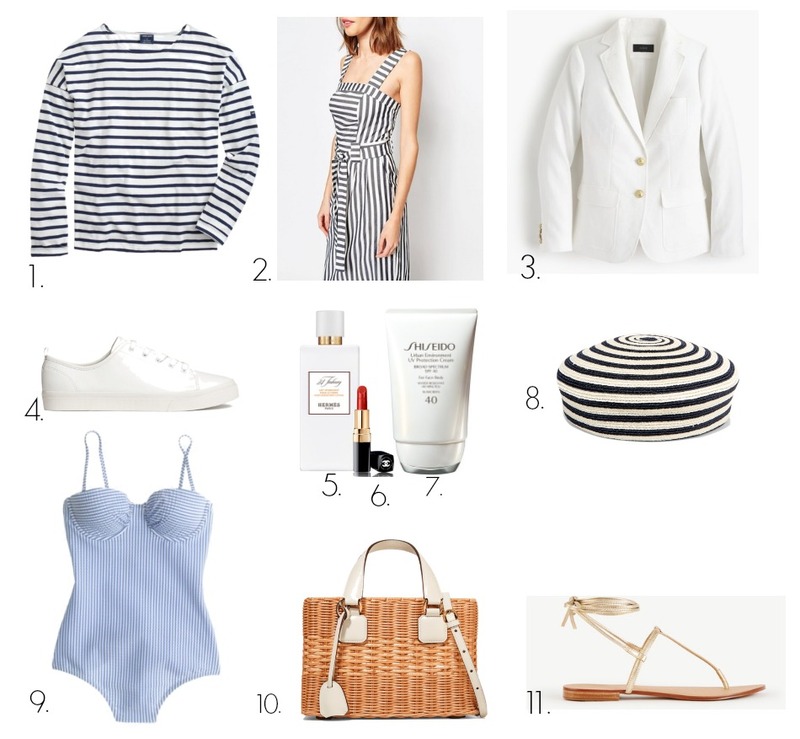 So, today I'm sharing with you, my favorite basic pieces for a Spring-Summer vacation. One of the things I always pack in my suitcase is something with stripes. 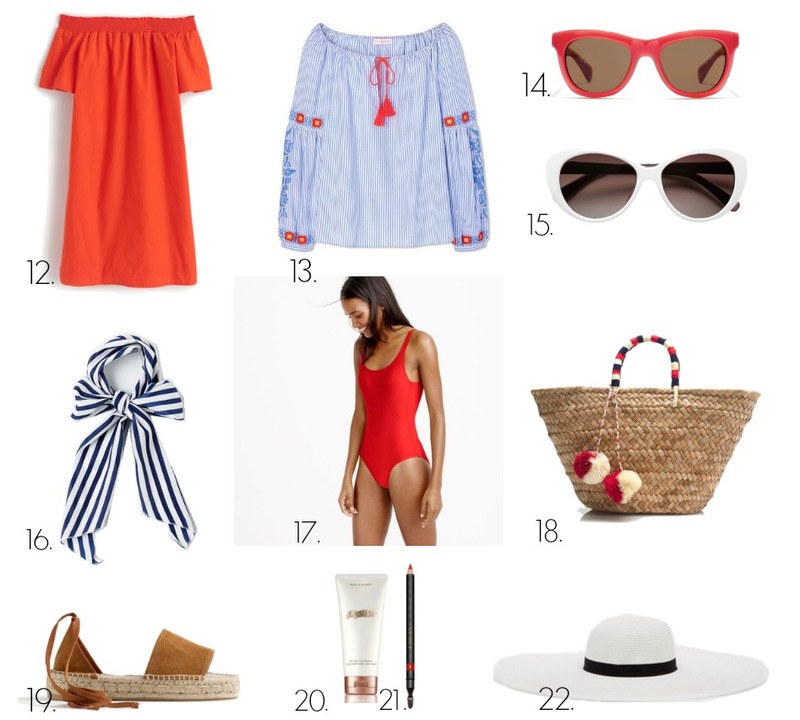 I also love lots of white and red outfits, red lipstick, a fun basket bag and of course sun proof creams. What things are on top of your getaway list? SO many great picks !